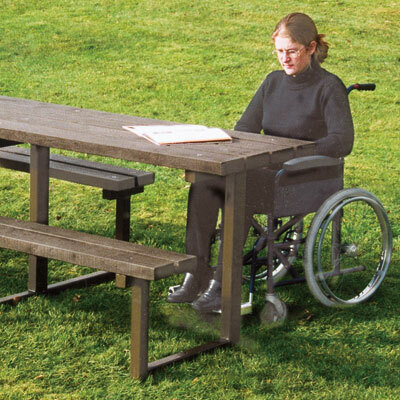 A robust integral unit, with boards of green European oak or treated softwood and brown finished steel frames, designed for semi-rural locations. 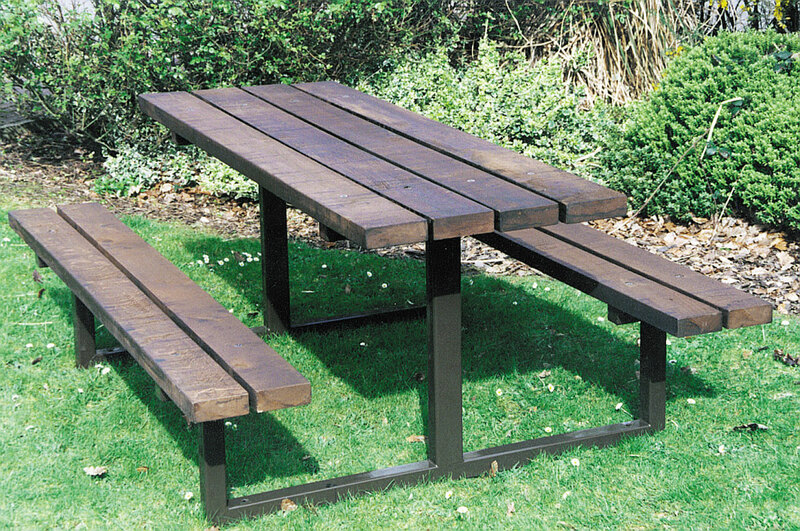 It combines the rustic appeal of our Woodland picnic unit with the strength of our steel framed units. 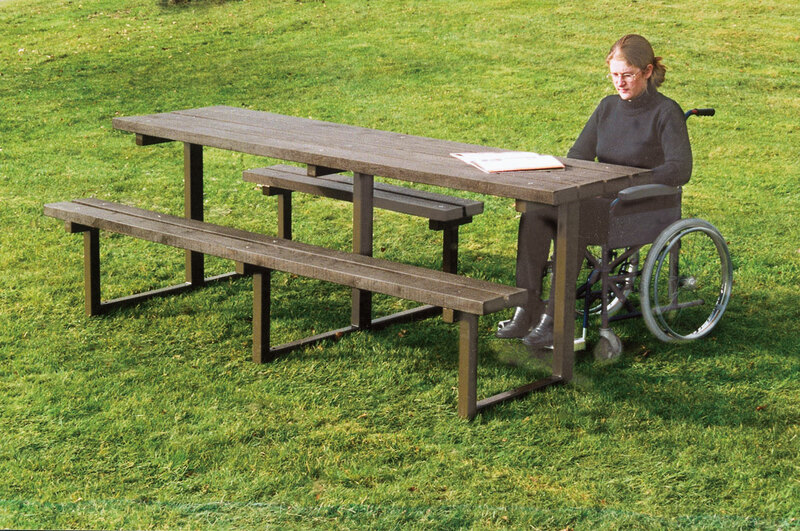 The 2300 DA version provides good wheelchair access. Frames finished in either Acrylic Coating or Street-Tough finish in brown 08B29 as standard. Length 1800mm, weight approx. 134kg. 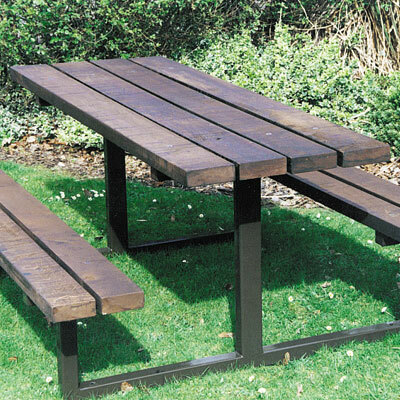 Length 2300mm, weight approx 162kg. Eleven standard colour options at no extra cost.